The Internet is full of examples of the humble brag. You know the type of thing -- "I am such an idiot, I cannot find the fusebox on my Bentley" or "I must be a real loser, Kate Upton ditched me after only sleeping with me twice." 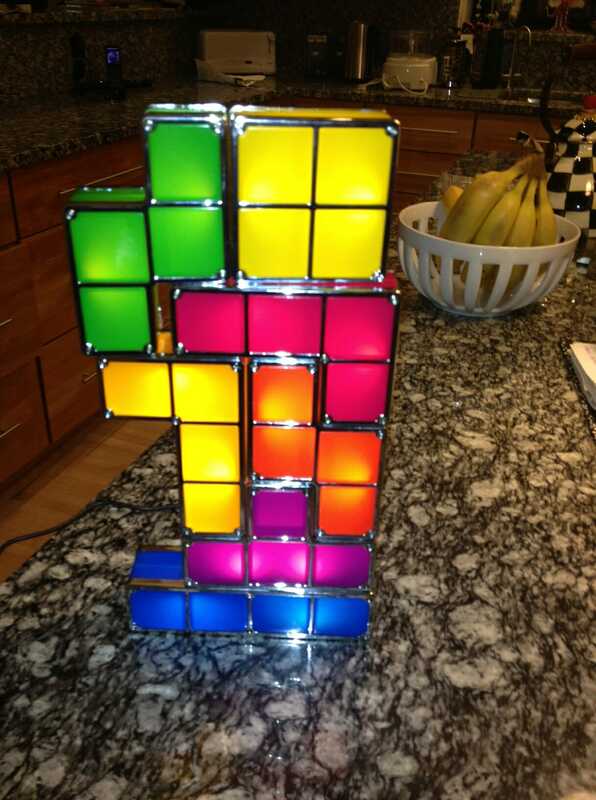 So I am not going to be coy, and am going to straight out brag about this new bad boy I acquired -- A Tetris light. 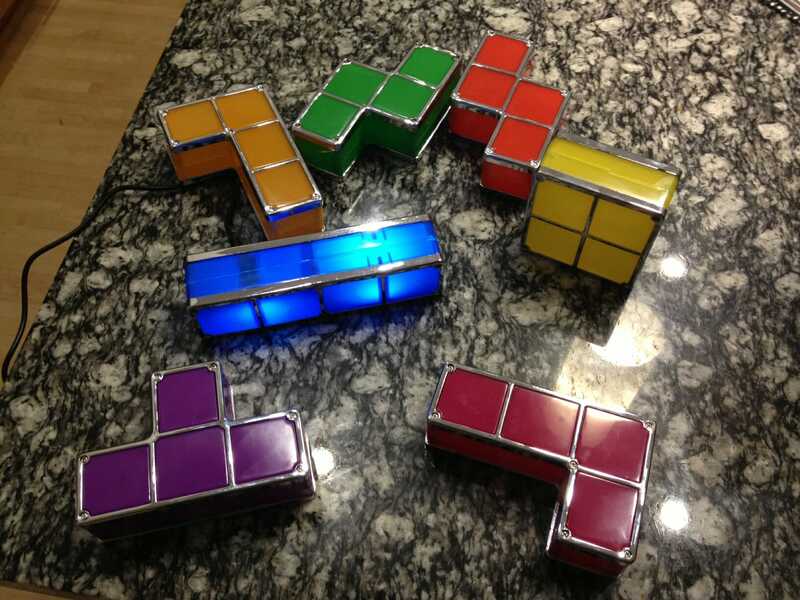 Each piece has a light inside, but only turn on when stacked with the others (the blue one is the one that plugs in and acts as the based, which is why it is on in the first picture). Obviously they can be stacked in about any manner, and my family spent most of yesterday rearranging it over and over. The metal rails on the edges act as the conductors, which is why they light when stacked. No way to change the bulbs that I can see, but they are all LED so hopefully they will last. I got it here but they sell them a bit cheaper on Amazon now.